I'm here to wish you all a Happy Christmas. I hope Santa was good to you all! I've had so much fun playing with Just Inklined images over that last year. & share your Just Inklined creations! 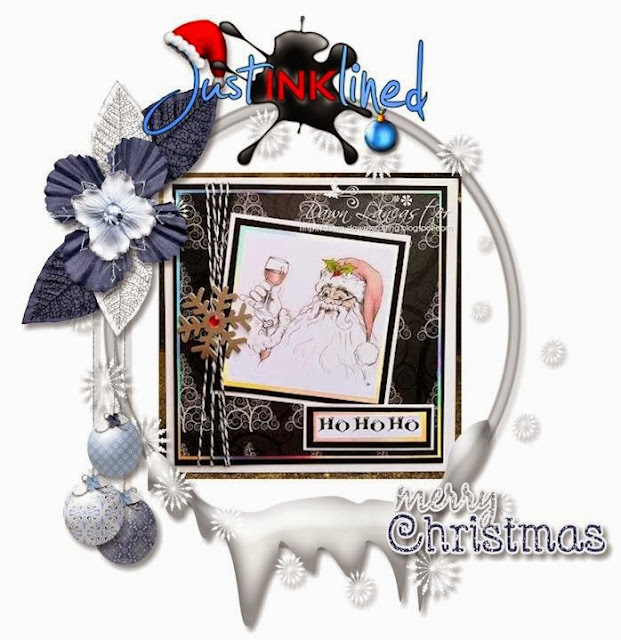 using Just Inklined digital stamps. featured card, to 2 lucky commenters, Whoopee! Find him here for next year! Be sure to leave a little love for a chance to win him! This is great Dawn. Super image. Hope you had a lovely christmas. Love this tippled Santa, Dawn! Superb card design. Love that black and white paper.